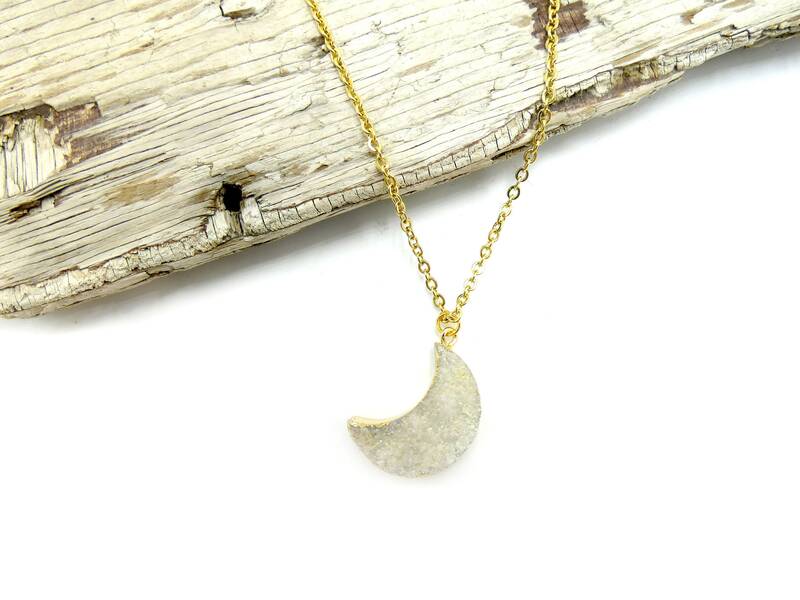 Druzy moon necklace. Lead and nickel free. Stainless steel gold tone chain. Electroformed with gold leaf.